Lo Wang's got the touch... maybe the powaaaaaah? 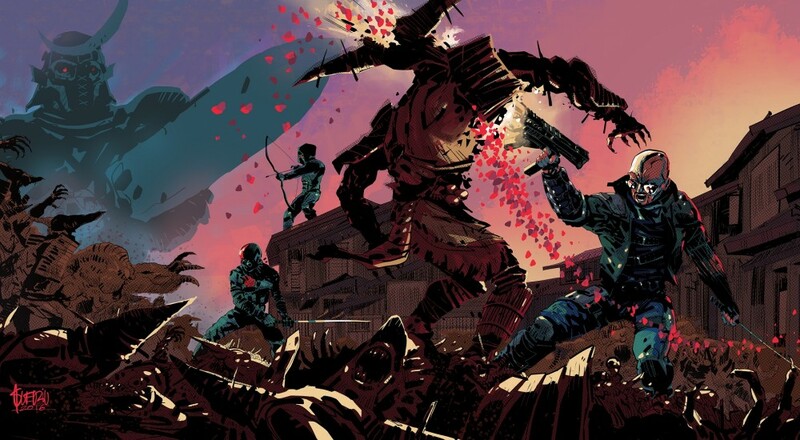 We're about two weeks away from Lo Wang's return in Shadow Warrior 2, and if you're in need of a little musical hype, then Devolver Digital, Flying Wild Hog, and rock legend Stan Bush have got you covered. You can pick up a special edition of the forthcoming title that not only includes the game, but a four track vinyl with Bush's vocals lovingly pressed into its grooves. Shadow Warrior 2 is out on October 13 for the PC and supports four player online co-op in the campaign. A console version is planned at some point for the Xbox One and PlayStation 4. Page created in 0.7141 seconds.